What Kinds of Psychic Abilities Does Chip Have? How Does Chip Receive and Process Psychic Information? Are Readings with Chip Scary? How Can I Get a Reading from Chip? 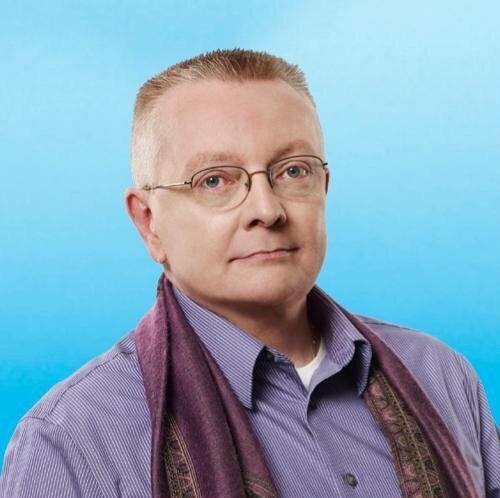 An internationally known and beloved psychic, medium, paranormal investigator and spiritual counselor, Chip Coffey is a renowned spiritual medium who has honed his abilities to help others by offering them guidance, insight and direction. The great grandson of Minnie Sue Morrow Foster, an acclaimed Native American Medicine Woman who gained fame in the early part of the twentieth century because of her own spiritual gifts and talents, Chip was born in Upstate New York but spent much of his childhood growing up in South Carolina. Chip now resides in the suburbs of Atlanta, Georgia. Chip is a clairvoyant, clairaudient and clairsentient psychic who received formal training and earned degrees in Counseling and Psychology and once worked as a traditional counselor. Chip now works as a full time psychic and spiritual counselor from his home base in Atlanta. In addition to his work as a spiritual counselor and psychic, Chip is also an author and speaker who makes personal appearances throughout the United States. With his gifts, Chip is able to see, hear and feel psychic information that he shares and uses to help people who seek his counsel for clarity and guidance. Chip can also help people reconnect with loved ones who have passed on. Connecting people with deceased loved ones offers a way for people suffering from pain, grief and loss to get much needed closure, answer unanswered questions or simply receive peace of mind in the knowledge that their loved one is still with them, albeit in another realm. Chip's God-given psychic abilities appeared early on in his childhood. As a very young child, Chip would know when the phone was about to ring and who would be on the other end. Around the age of ten, Chip began giving unprompted readings for friends and family. Chip's family was supportive of him and encouraged his gifts allowing him to hone and sharpen them without fear, doubt, shame or embarrassment. As Chip grew into adulthood and encountered other psychics and children with psychic abilities, he realized many people with these talents were not encouraged to tap into them and were often labeled as “overly imaginative” or “attention seeking.” Since making that unpleasant discovery, Chip has worked to shift the public's perception of psychics. Chip has used his own personal childhood experiences and his professional degree in Psychology and Counseling to help guide children who are just discovering and sometimes struggling with understanding, accepting and using their psychic gifts. Television network A&E spotlighted the challenges and struggles children gifted with psychic abilities often face on their hit program Psychic Kids Children of the Paranormal and called on the expertise and counsel of Chip to help guide psychic children and help them to fully embrace, understand and use their gifts in positive, empowering ways. Based on the understanding that not every child can, or should, appear on a television show designed to showcase and help them through their journey of psychic discovery and that many children gifted with psychic abilities are misjudged, misunderstood, misdiagnosed or labeled as “misfits” led Chip to write a book entitled Growing Up Psychic: My Story of Not Just Surviving but Thriving-and How Others Like Me Can, Too. Chip was also featured in the A&E's television series Paranormal State, a show where teams of psychics and paranormal investigators visited places said to be haunted or where paranormal activity was rumored to occur. Chip has also appeared on numerous shows including Larry King Live, Good Morning America, Nightline, CBS Sunday Morning, Tyra and Entertainment Tonight to name just a few. Chip seeks to use his God-given gifts coupled with his public platform to help demystify psychic abilities and to help people of all ages blessed with psychic gifts to fully embrace them. Chip also strives to use his public platform to educate the public about psychics in an effort to change the way people with psychic abilities are perceived and how they are treated by those who do not share their gifts and talents. In addition to his efforts to help demystify psychic abilities, Chip is also a tireless champion for animals. Chip donates a portion of the proceeds from the sale of his book to groups dedicated to animal adoption and rescue efforts. Chip also uses his gifts to work with and support hospice and hospice related programs throughout the United States. Chip possess a variety of psychic abilities and gifts. Able to foretell future events with startling accuracy by tuning into messages sent by his spiritual partners existing in higher realms, Chip can also connect and communicate with people who have passed from this world into the next. While Chip has been able to predict coming events since a very early age, the gift of communicating with the deceased came to him much later in life. After his father's death in 1986, Chip received a visit from his father on the day of his funeral asking Chip to take care of his mother. Later in 2001, the brother of one of Chip's coworkers began communicating with Chip opening up a new realm of abilities for Chip to tap into. This experience is the one Chip points to as opening the door to his ability to communicate with the spirits of people who have passed on. Now, Chip uses this incredible psychic power to help people reconnect with their loved ones for much needed closure, healing and a sense of peace that their loved ones are still with them, know about their lives and surround them with love. In 2002, Chip studied and trained under the guidance of Patti Starr to earn his certification in ghost hunting. Since that time, Chip has worked on a number of paranormal investigations. Chip uses his innate abilities coupled with the training he received from study with Ms. Starr to help people understand what is behind the paranormal activity they experience in their homes, buildings or on their properties. This information can help people more accurately determine how to live with the activity, how to put it to rest or if they should abandon the space altogether and simply let the spirits have it. Chip does not depend on runes, tarot cards, crystal balls or other divination tools to receive information from the spiritual world and those who live in it. Chip is able to gather and process information he receives in a way he describes as bypassing his five senses and being “imprinted” in his brain. Chip can “see” images or videos and can “hear” messages though they are received as words delivered without being spoken in the way we understand verbal communication to work. Though he has seen spirits of people that have died, Chip does not “see” dead people on a regular basis but rather he senses and feels the energy of spirits around him. Not at all! Most clients report feeling an extreme sense of peace and calm during and after their visits with Chip. Most people say they feel as though they were truly speaking with their loved ones and got the answers or peace of mind they have been seeking. While the information spirits pass on to Chip is usually very simple in nature, the messages are incredibly healing and meaningful to their loved ones. In fact, Chip uses the motto “No fear! No doubt!” proudly on his website and people who work with him fully support those claims. Chip offers a variety of private appointments for individual readings conducted by phone. Offering private and individualized psychic readings, spirit contact readings and combination readings allows people to choose the type of reading and experience they receive during their time with Chip. Usually, it is about a sixty day wait to get an appointment time. For people facing extreme or time sensitive problems, Chip is sometimes able to accommodate them with an ASAP reading within a thirty day timeframe. These appointments can be made and paid for on Chip's website and it contains all the information you need to decide which type of reading is right for you and how to properly prepare yourself for the reading. You can also see Chip in the many appearances, events and talks he attends and gives around the country. Chip keeps an updated calendar of appearances and events on his website so you can plan to see him when he is in your area. Whether you elect to have a private reading or see Chip in a public appearance, an encounter with Chip will likely change the way you see psychics and your own understanding of a world beyond the one you now know. Offering insight, guidance and counsel gleaned from a different plane, Chip Coffey is a gifted psychic you can trust.